So, you have tried all the tricks to improve your search engine ranking but to no avail. Well, it is time you took to WordPress themes for improving your search rankings. WordPress is not just about flexibility and ease of use. It is a complete content management system that keeps upgrading itself with time. In the past few years, WordPress developers sensed the need for SEO optimized themes and came up with a lot of templates. These themes possess the ability to lift up your ranking. So what are the things that make them so compatible with SEO? First and foremost, the themes have been designed with clean code. They are error-proof and thus, find it very easy to impress search engines. Another important thing is their responsive design. 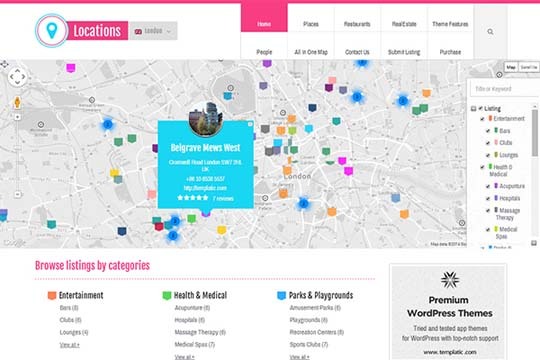 The uniformity of design on different viewing platforms makes them score points with Google and other search engines. Speed also plays a very significant role in SEO optimization and this is related with clean code. If you too want to get into the good books of search engines then we advise you to check out the gallery sitting below. It will give you a detailed view of 55 SEO friendly themes. Have a look. 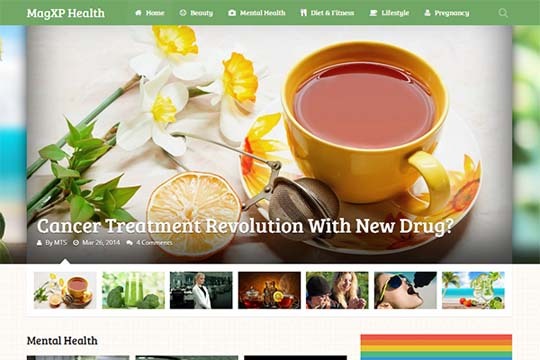 With a clean code, responsive design and numerous other features, tdPravda is a very SEO optimized WordPress theme. 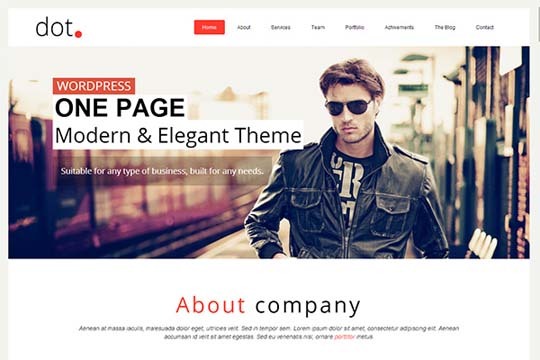 Priced at $55, the theme is also compatible with bbPress and WooCommerce plugins. With it, you will enjoy all the benefits that you look forward to when you bring a quality theme home. 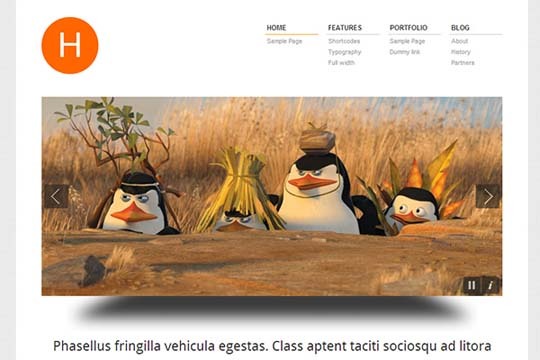 MagXP is 100% responsive, HTML5/CSS3 integrated, fast and coded with utmost perfection. This is why it can easily push up your search engine ranking. Anyone who is looking for a cool Magazine WordPress theme that is also open to customization and feature-rich must check it out. 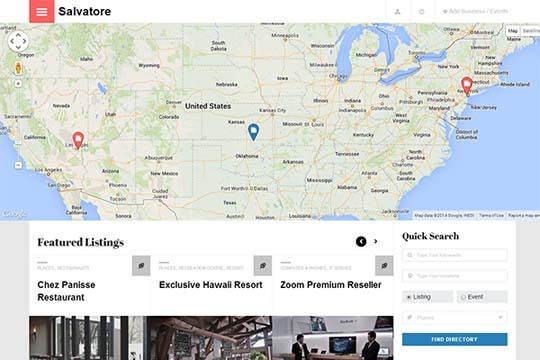 Locations is a WordPress Directory theme that is packed with the best of modern day features and also follows the latest SEO practices. It is very stylish and can create a sound site for you in minutes. The theme is bound to enhance your ranking by leaps and bounds. Speed and responsive design are two very important factors that affect search engine ranking. Schema is the most mobile friendly, fastest loading, ultra-SEO friendly WordPress theme featuring all the best MyThemeShop features, custom options panel, best shortcodes and widgets. The multipurpose Keiko comes with a minimal and responsive design that is nicely supported by rich tools and options to make website creation incredibly simple. It has been built with a new technology for achieving high quality, high performance and SEO ready website. You will love it for sure. 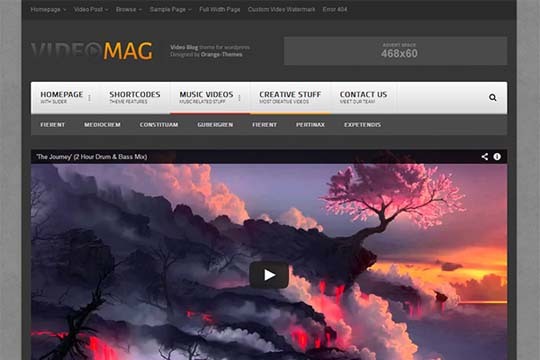 VideoMag is a powerful and responsive Video WordPress theme that serves video magazines, video blogs or video portals. The theme also supports Vimeo, Vine, Youtube DailyMotion, Twitch and self-hosted videos. It is a must-have for those who operate in this niche. Fitted with clean, responsive design, 3 different representations of home page (One page, blog, business), beautiful transition effects and portfolio, sticky menu, font icons, scroll animation and much more; Zero is a classic theme that can serve multiple purposes. It is very SEO friendly and will help you reach top rank in very less time. The $40 Solar, from ThemesKingdom, follows the basics of blogging and is very smart and strong. The theme is fully optimized for search engine and keeps everything simple while maintaining the sharp and modern design. 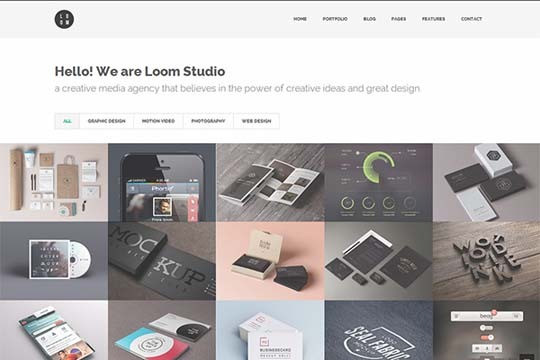 Fit for business, portfolio, blog or any other purpose; Loom is a flat and responsive WordPress theme with a clean and professional design. It is very feature rich and follows the guidelines of popular search engines such as Google and brings best ranking for you without asking you to make any extra effort. 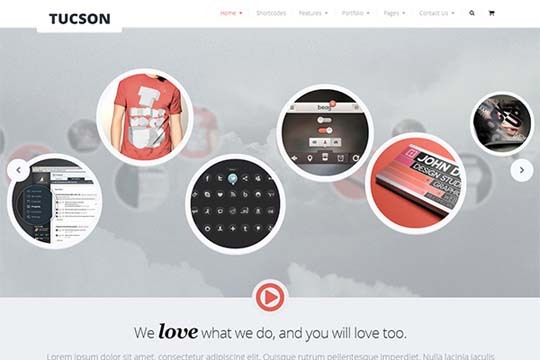 dot is a creative one page theme with modern and elegant design. It is ideal for creative people and can also suit businesses, with different needs. As far as search engine ranking is concerned, the theme is well armed for the same and you would feel the results once you bring it home. 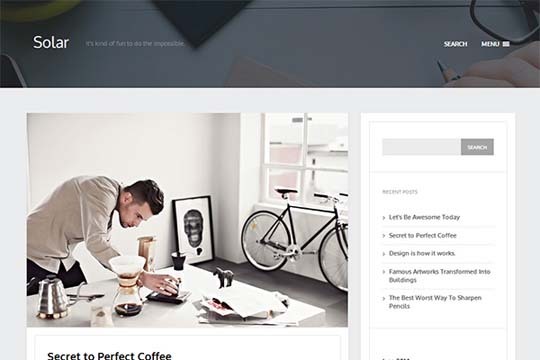 Noble is a superb blogging theme that is very mobile friendly and carries integrated support for built-in WordPress post formats such as videos, quotes and images. The theme is also SEO optimized and does not take much time to catapult you to top ranks. The $49 Karanith from MojoThemes is a fully responsive, very clean, elegant WordPress theme with unlimited possibilities. It can serve several purposes and the theme is also well studded with modern features that can easily impress search engines and audience. 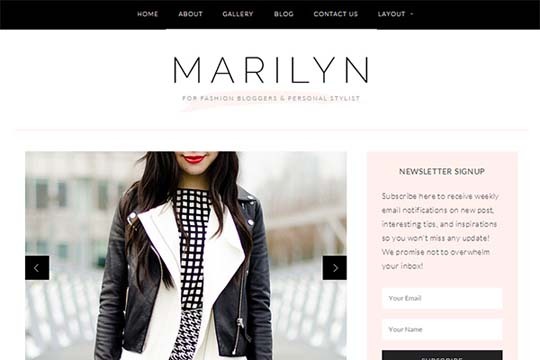 Marilyn has been made for fashion lifestyle blogs and sites. It is very easy to use and fitted with advanced features which means anyone can operate it without any problem. The theme is also search engine friendly and does not take much time to get into their good books. 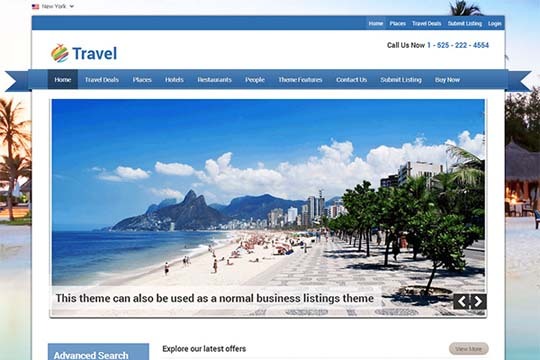 Travel is a travel directory theme through which you can create a website and showcase your travel deals. The theme is very well designed and pre-packed with many fabulous features that are not just user friendly but also search engine friendly. It will also impress your audience in a jiffy. 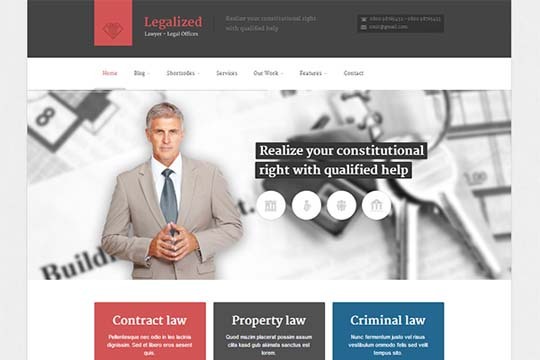 The $35 Immunity is a multipurpose and mobile friendly WordPress theme that comes with many modern and effective features. It is also SEO optimized and hence, you do not have to worry about impressing the search engine. Just focus on your content and rest will automatically fall in place. 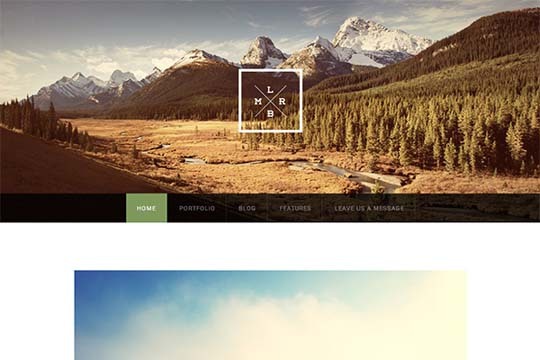 Herringbone is a WooCommerce enabled WordPress theme. It is very user friendly and comes packed with lots of compatible features and customization alternatives. The theme has got all that it takes to impress search engines and the customers who come shopping at your site. 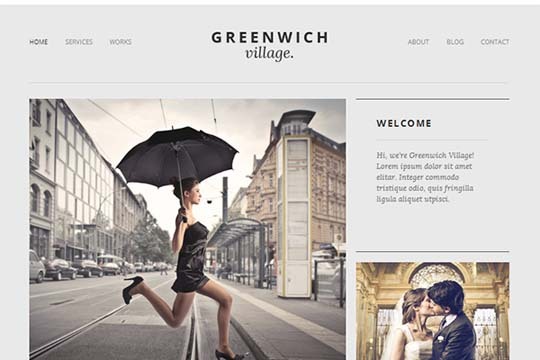 Greenwich village is a super easy to use, massively flexible and a truly unique theme that offers a great user experience. The template is ideal for freelancers and agencies. It comes with great speed and clean code which directly translates into cool ranking and classic credibility. Glammy is an eCommerce theme which offers nice combination of colors and beautiful images to create elegant, glamorous, luxurious and attractive shopping website for buyers. This $55 theme is very well coded and thus, can easily impress search engines. 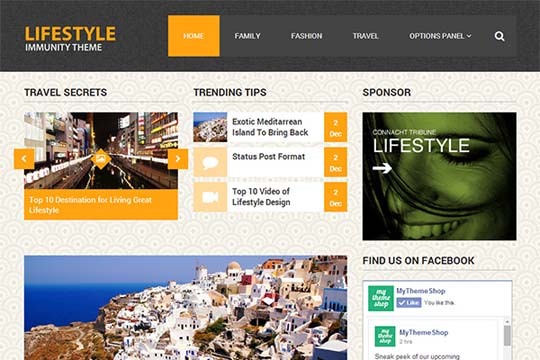 Salvatore is a powerful Business Directory theme that is super easy to use and also fully responsive. It has all the compatible features such as title, type of listing, contact details, social media links, blog or website links, pictures of listings, brief detail of business and much more. 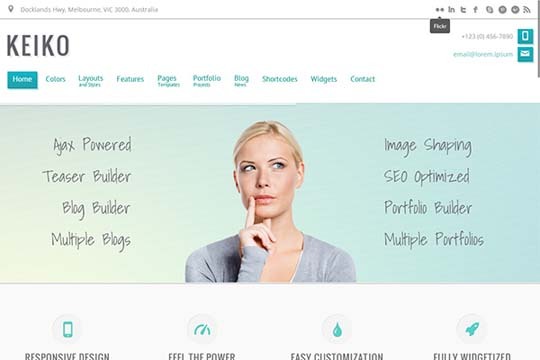 Looking for a clean and responsive theme that uses latest technology? Hydrogen is the answer. This clean and flexible theme comes with a 3D jQuery front page slider, portfolio page template, gallery slider in portfolio entries, blog page template and lots more. 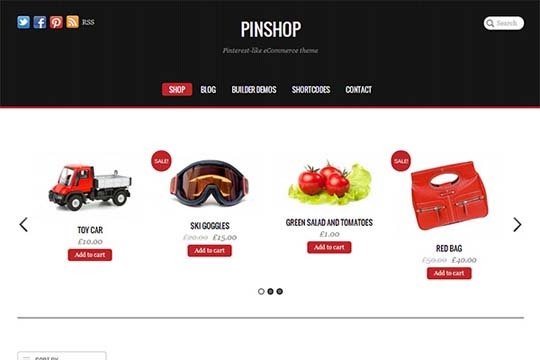 Pinshop is a Pinterest inspired eCommerce theme in which your products load infinitely as you scroll down the page. The theme is WooCommerce ready, has got fantastic looks and equally cool functionality which have been designed to impress search engines. 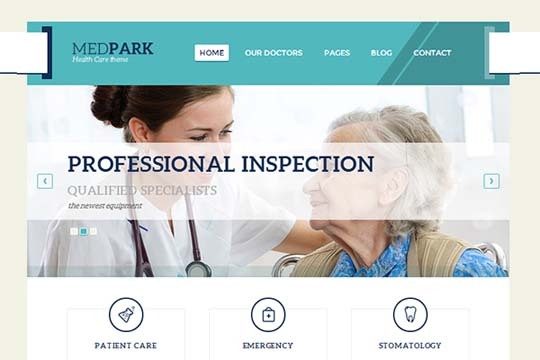 The $39 MedPark is a premium WordPress theme that caters to medical or education related websites. It is clean, responsive and comes with a wide range of elements that are not just conducive for your audience but also for the search engines. 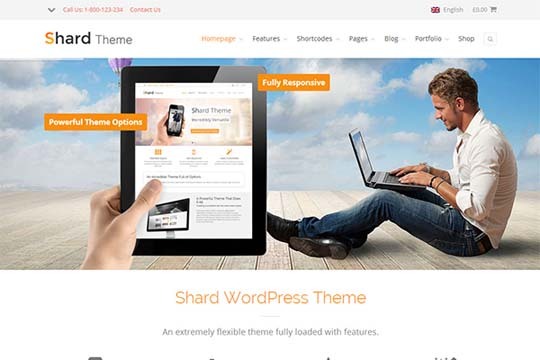 The $49 Shard, from MojoThemes, is a mobile friendly and highly flexible WordPress theme that can serve several purposes. 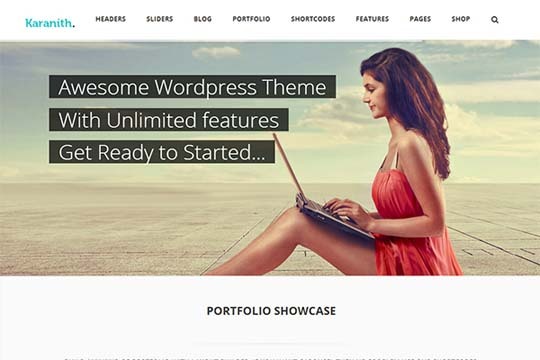 The theme comes with unlimited colors, visual composer, revolution slider, SEO optimization, translation readiness, bbPress and WooCommerce compatibility. It makes for a smart investment plan. The $49 Oculus, from RocketTheme, comes with a semi-transparent focused design, allowing rich and subtle full page backgrounds to filter through, to stunning effect. The theme is also well supported by technology and thus, impressing search engines is no less than a cakewalk. 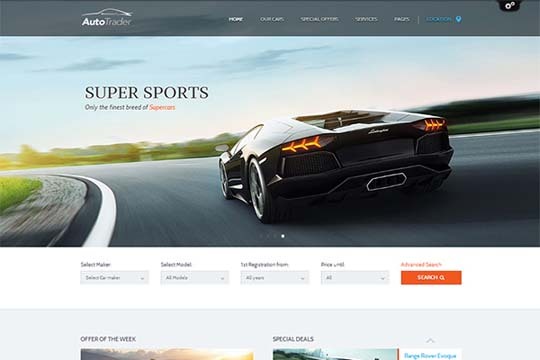 This is a theme for an online vehicle marketplace or an auto motor magazine or blog. It is packed with all the great features that you require in order to fulfill all your needs and beyond. 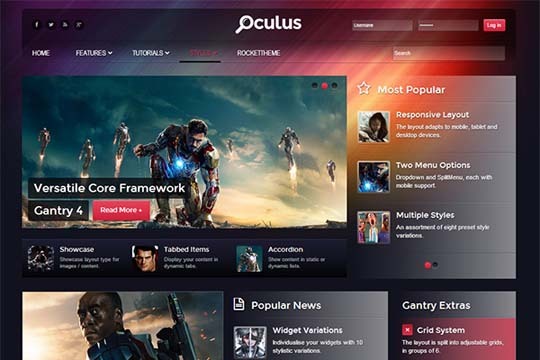 The theme is geared to go great with various viewing devices as well as search engines. 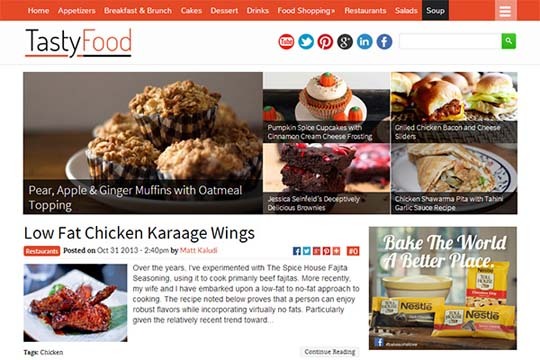 TastyFood is a food blogging & lifestyle WordPress theme. 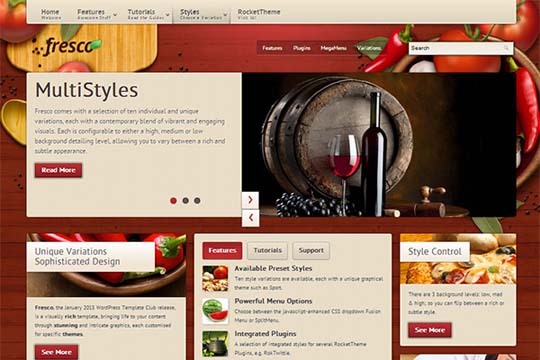 Priced at $59, the theme is very smart and all its elements have been well crafted. They make your site look properly professional and also bring maximum exposure for your content. 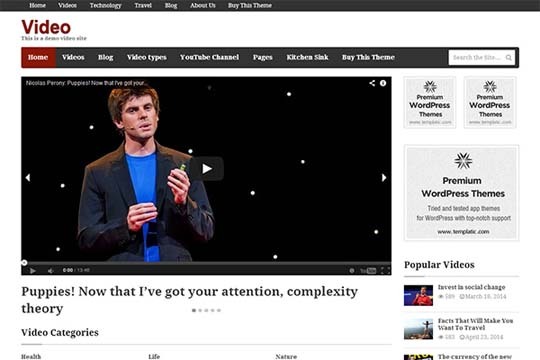 Video is a fast WordPress theme that is focused on making your videos look awesome. It helps you share videos from YouTube, Vimeo or dozens of other sites. The theme is super lightweight and loads like a breeze which also finds favor with search engines and is bound to lift your ranking. 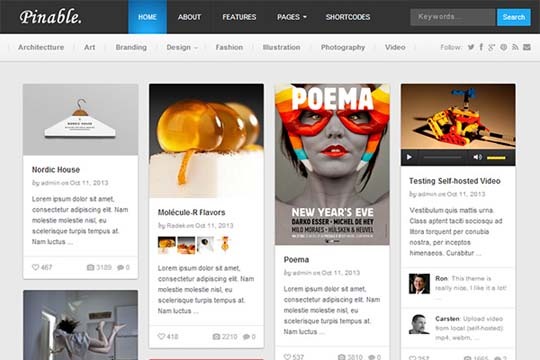 Uberto is a fully responsive and beautiful blogging theme that is based on Bootstrap. It is all those things that an efficient theme ought to be. Its clean code and good speed will push your search engine ranking to great heights. 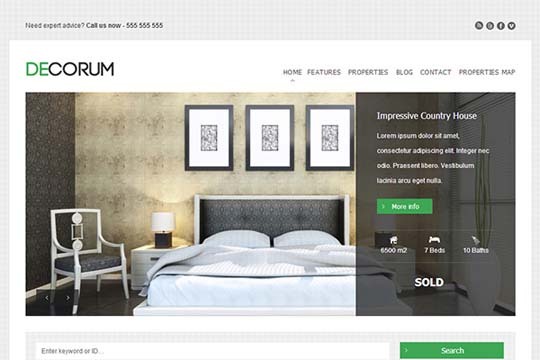 deCorum is a fully-featured real estate WordPress theme that comes with minimal style and extensive layout options through which you can design things in simple easy steps. It is very feature rich and search engines will love to rate it with good marks. Here is a special theme for churches. 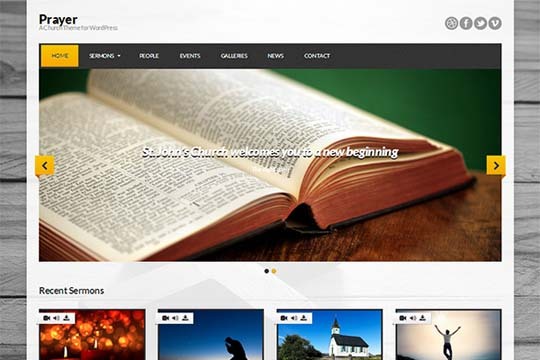 It has all the attributes a church would need like news template, events, galleries, videos, location page, complete sermon management with supporting video, audio and transcripts. The theme is also SEO friendly and thus, takes no time to impress them. 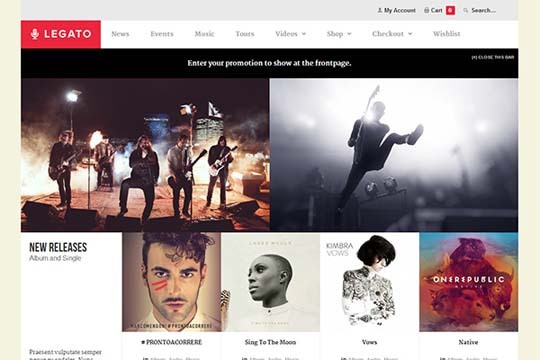 Legato is a premium WordPress theme that serves musicians, recording labels, composer, event production companies and other professionals within the music industry. Valued at $79, the theme is also integrated with WooCommerce and you can use it to sell your melodious merchandize. Search engines would definitely rate it in an openhanded manner. 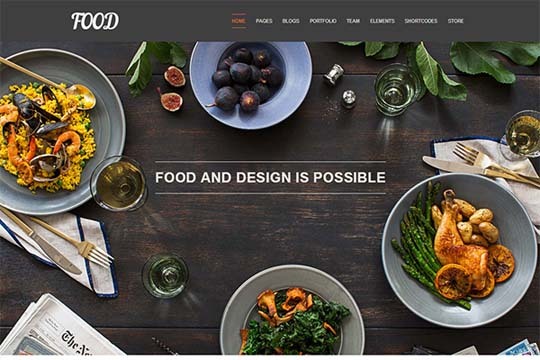 Food is a powerful and responsive WordPress theme that has been designed to serve restaurants and similar niche. The theme is retina ready, built with Bootstrap, easy to customize and lots more. Priced at $49, it offers complete value for money and search engines would also love it. This is a hotel WordPress theme that comes with a lot of specific short codes, pages and features. Its reservation module is the most captivating feature and this will not just cut ice with the audience but also with the search engines. 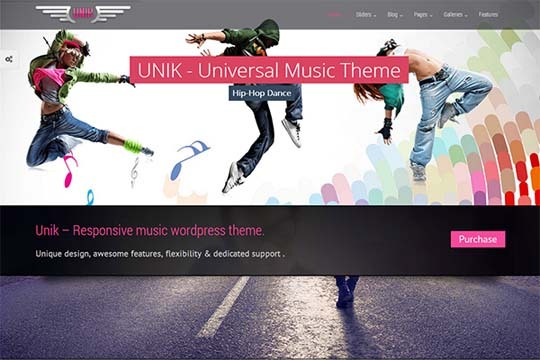 The $49 UNIK is a music theme that offers responsive layout, unlimited sidebars, slider revolution, 3 MP3 player options, awesome shortcodes and much more. It has got killer features to suit your needs. What is more, it is super SEO friendly and can easily impress them. 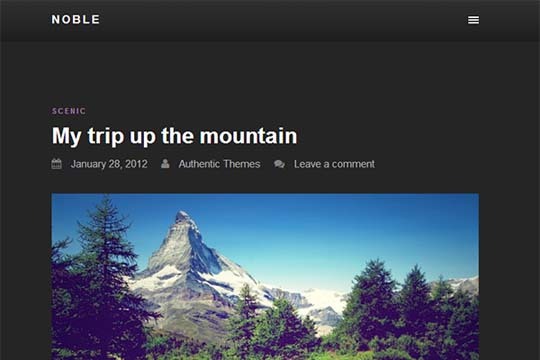 Pinable is a Pinterest-like theme which supports various theme post types and is also fully responsive. The theme is very lightweight and loads very easily which is as much loved by the audience as by the search engines. It can serve portfolios, blogs and various types of websites. Built with Bootstrap 3 and many other cool features such as unlimited variations and colors; Tucson is truly a sought-after theme. It is very professional, multipurpose and comes with a fully responsive design that looks stunning on any device. You will love it and so will the search engines. 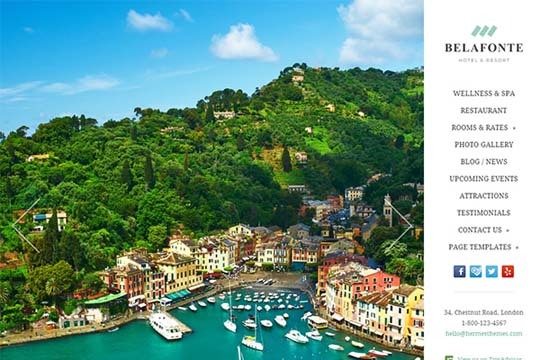 The $35 Pinstagram, from MyThemeShop, is a Pinterest-inspired WordPress theme that features the trademark grid layout with multiple post sizes and long list of posts. After you use it, you are sure to see your popularity and ranking registering a great hike. The theme is definitely a must-have in the current times. 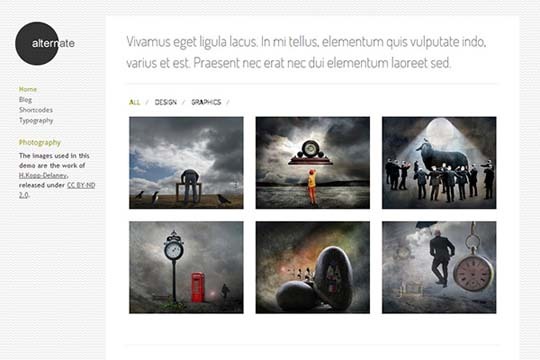 Fresco is a visually appealing theme that has been designed with acute attention to detail. It is ideal for different sites and comes with all the features that are needed to get good ranking and the love of audience. What is more, it is open to modification and you can easily alter it to suit your style. Looking for a neat and mobile friendly portfolio theme to showcase your creative work? Go for Alternate. It will completely serve your purpose and also make you a hit with search engines. The template is a complete solution and you will love it to the core. 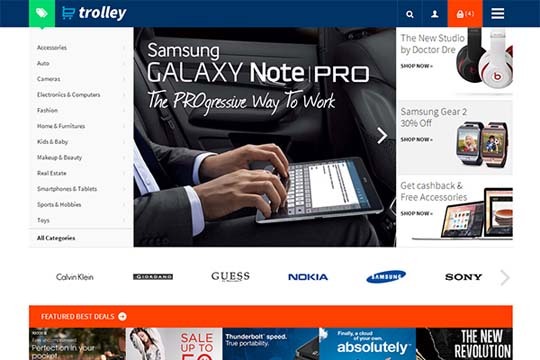 Loaded with the latest trends and design, Trolley is a professional eCommerce WordPress theme. It lets you showcase your products in a colorful yet clean way. The theme is full of modern day features and is sufficiently suitable to climb the ranking ladder of search engines. 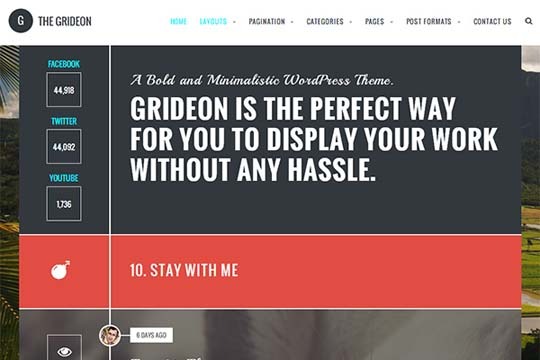 Grideon is meant for blogs and portfolios. It is very easy to use and super customizable. The theme is also SEO friendly and does not take long before search engines notice it and award it with good rank. Lumberjack is a classic blog WordPress theme that has been designed for creative bloggers. It uses an elegant design to showcase your work and is well decorated with smart features and customization options. Search engines cannot fail to notice it. 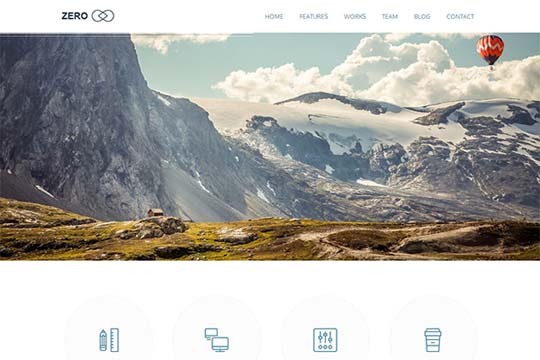 Compass is a completely professional business WordPress theme. It brings you all the exposure you need and effectively showcases your business services to your website visitors. The theme has been designed to impress people as well as search engines. 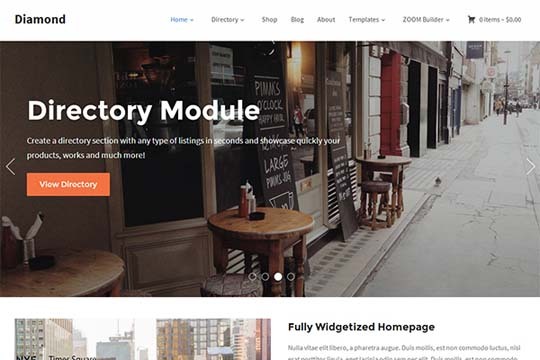 Do not miss out this brilliant multipurpose WooCommerce & Directory theme. Diamond is perfect for small business owners who want to get the job done easily. The theme has all the requisite features, gels with all viewing devices and has also got it in itself to impact search engines in a positive way. 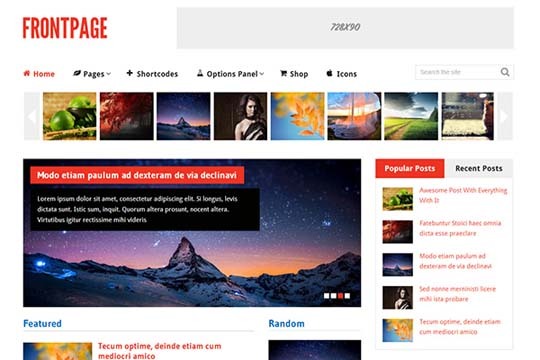 FrontPage is a wonderful WooCommerce-ready theme that is fully responsive and can also serve different purposes. Priced at $35, the theme is a superb investment plan and will make search engines go crazy after it. 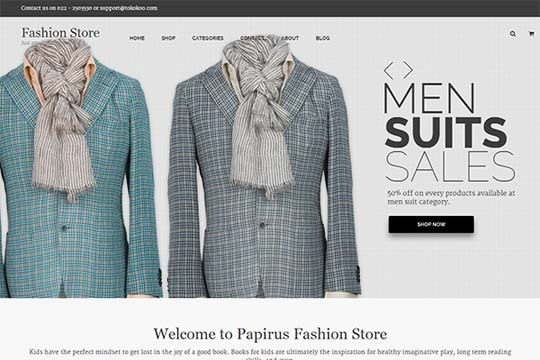 Packed with a sleek design, Papirus is a new-age and professional WordPress theme that is powered by WooCommerce. It is extremely customizable and you can easily mold it to work as a proper portfolio. The theme will go great with your customers as well as search engines. 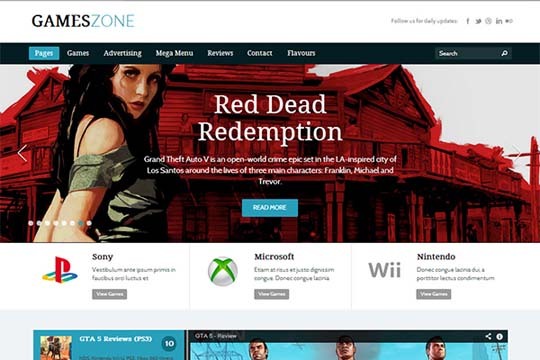 GamesZone, as is clear from the name, caters to games sites and blogs. The template comes with a lot of features and a bunch of specific pages like reviews, games, walkthroughs, guides and more. It is very SEO friendly and would certainly find favor with them. 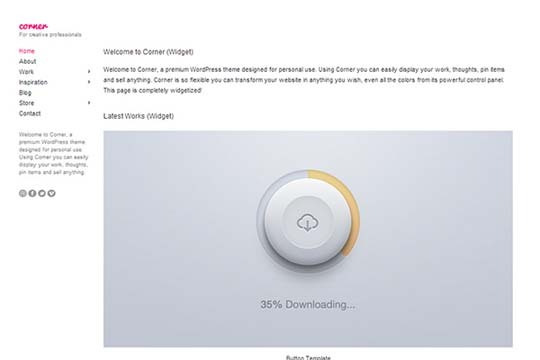 Having unlimited color variations, infinite scrolling, custom post types, widgetized homepage and much more; Corner is a very cool theme. It is best suited for creative professionals and makes sure you get all the exposure and engagement. What is more, search engines also rate it positively. 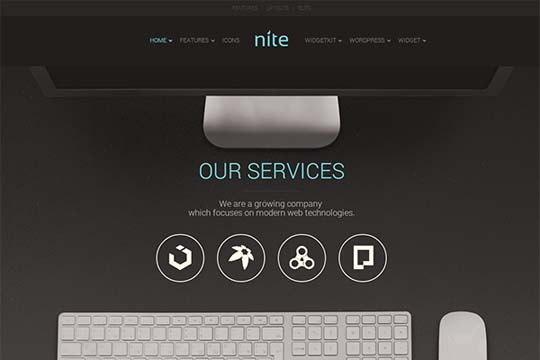 Nite is a very nifty theme and comes with all the modern day features that are needed to make your mark in the cyberspace. 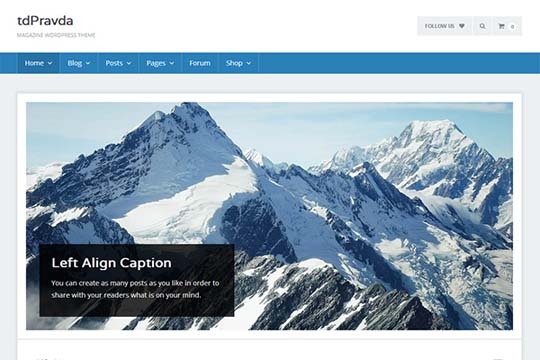 It carries an option to add a fullscreen position where you can publish eye-catching content. The theme is a sure-shot winner. 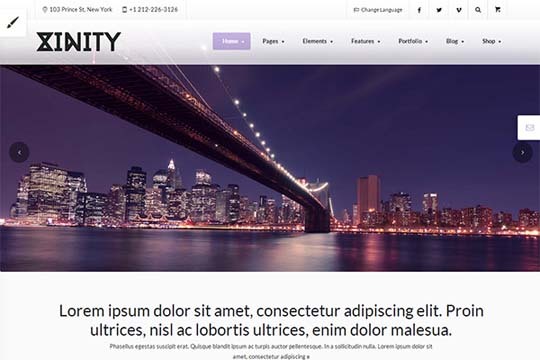 The $55 Xinity is a multipurpose WordPress theme packed with truckloads of features. 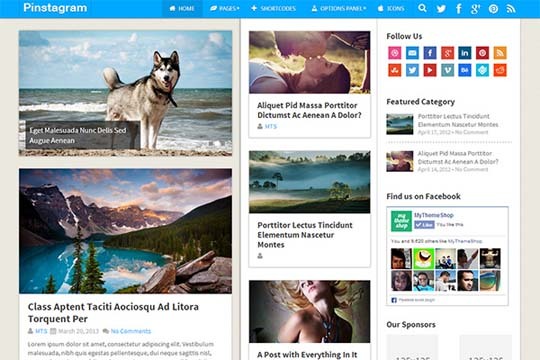 The theme is very smart and also customizable. It has all the ingredients that are needed to form friendship with search engines. 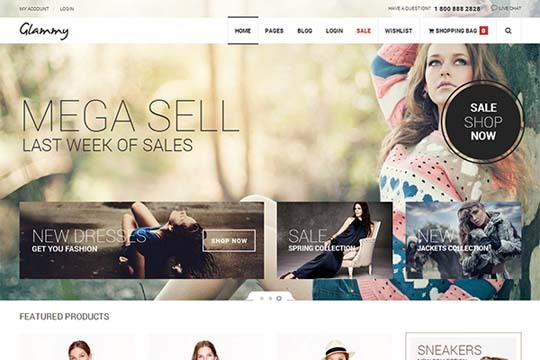 Zeon is a premium eCommerce WordPress theme integrated with WooCommerce and many other wonderful features. It comes with a clean, modern, responsive design and a complete set of powerful eCommerce features. With it at the backend, your store will certainly shine bright. 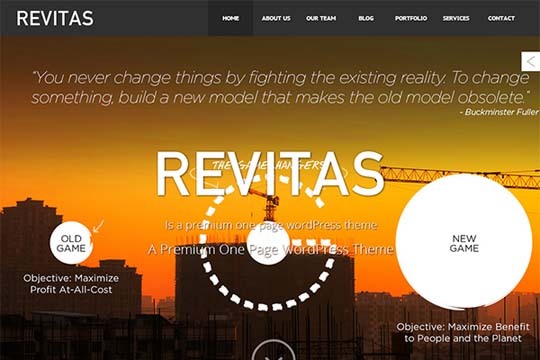 The $49 Revitas is a responsive theme that comes in various flavors. You can use it as one page, multi page and in parallax style. The theme is very well packed with modern features and search engines also like it a lot. Legalized is for the legal fraternity. This $40 theme is clean, good looking and very customizable. All the modern features including SEO optimization are firmly fitted with it and you can easily scale the heights of search engines. 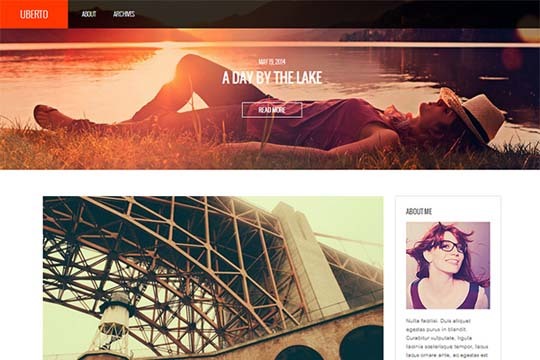 Belafonte is an advanced and minimalist WordPress theme with a responsive layout. It is ideal for properties that want to focus on photography and for luxury rental villas, resort hotels, boutique hotels, B&Bs, etc. The theme is also SEO friendly and does not take time to befriend them. NewsTimes is fast, pixel perfect, attractively designed, HTML5/CSS3 ready, ultra responsive and all those things that can help to improve search engine ranking quickly and easily. This $35 theme from MyThemeShop is definitely a must-have for all those who want to become popular and successful.